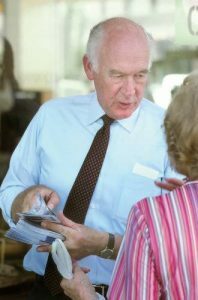 Former Idaho Governor and Secretary of the Interior Cecil D. Andrus died on August 24, 2017 in Boise. He was a day short of his 86th birthday. I was lucky enough to meet him in the mid-1970s and even more fortunate to work with him from 1986 on. He was simply the best and greatest man I have ever known. I was honored and humbled to offer a remembrance for a packed house of family and friends at a memorial service in Boise last week. Below is what I said about a personal and political giant. 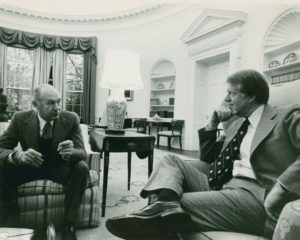 Cecil Andrus had, in almost every respect, a quintessentially American kind of life rising from the most modest beginnings to the far heights of political and personal accomplishment, and frequently his many and varied victories came in the face of the longest of odds. Reflect for a moment on those humble begins in rural Oregon: The governor told of learning, as a youngster along with brother Steve, how to hunt and fish, and not merely for enjoyment, but because a successful hunting or fishing expedition put food on the family table. You can understand the seeds there of a life long love of hunting, fishing and the outdoors. He would joke in his retirement that with an elk in the freezer he and Carol could make it through the winter. These early Oregon days were before there was a Bonneville Power Administration or the REA, electricity was scarce in the rural west. He vividly recalled his dad using the car battery to power the family radio set so that everyone could listen to Franklin Roosevelt’s Fire Side Chats. And he embraced throughout his political life the lessons of FDR’s New Deal, as well as the buck-stops-here pragmatism of Harry Truman. Politics, he thought, should be an honorable calling since it should always be about improving the lives of people. And government was the tool to make the improvements. Years after working long days in the woods, after serving in the Cabinet, after meeting the Pope, and presidents, and titans of industry, and after conserving vast swaths of America’s last frontier, he could still walk the walk and talk the talk of a gyppo logger from north Idaho. Some wise guy once conceived of a campaign commercial where the governor donned a hardhat and cork boots and wielded a chain saw to cut down the biggest dang Ponderosa pine you can imagine. This was 1986, and probably 20 years after his last logging job, and he dropped that tree right where it was supposed to be. To those who had the honor to work for him – with him – he was role model, mentor, inspiration and surrogate father. He was simply a wonderful guy to work with. It was fun, demanding and important work, and, in my case, his taking a flier on me and bringing me into his orbit absolutely changed my life – and all for the good. I even adopted his hairstyle. All of you know the broad outline of his story, but permit me for a moment to draw the big picture that, I think, helps us understand what will be his enduring legacy. He was elected at age 29 to the state senate from Clearwater County by defeating an incumbent Republican. He had never before held political office. 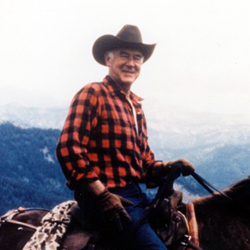 Elected governor at age 39 in 1970, he became the first Democratic governor in Idaho in sixteen years. He defeated an incumbent Republican that year by gaining 52 percent of the vote. Four years later, he won re-election in a crushing landslide – 71 percent of the vote. His political and personal skills and his first-rate intellect next took him to the president’s Cabinet – the first Idahoan to ever serve there. 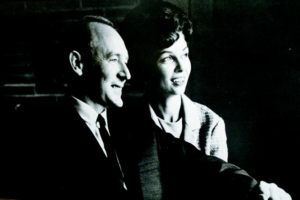 Following service in the Carter Administration he returned to Idaho, in and of itself a remarkable fact since “Potomac Fever” is a powerful affliction, but it never settled on Cece Andrus. In 1986, he was trying again to win what he often called “the best political job in the world,” and he won a very close election for governor with just under 50 percent of the vote. Four years later, he won an unprecedented fourth term in another landslide – more than 68 percent of the vote. I like to say he was elected four times in three different decades, a Democrat in one of the most Republican states in the nation, a conservationist in a state where timber, mining and agriculture were paramount. He built a record of remarkable legislative accomplishment that occurred while his party never once controlled either house of the state legislature. I remember going to Marsing during that 1986 campaign and seeing a pick-up truck with an Andrus sticker on the left rear bumper and a Steve Symms sticker on the right rear bumper. That is the definition of bipartisan appeal. He never would have won all those elections without having remarkable appeal all across the political spectrum. And there was a discernible pattern in his political life, and his victories were no flukes. He would win an election narrowly, as in 1970 and again 1986, and then, after showing voters how well he led and how much he cared – in other words the more the voters saw him in action the better they liked him – he won the two greatest victories in modern Idaho gubernatorial history. You need to go all the way back to 1896 and Frank Steunenberg to find another gubernatorial election won by a larger margin that Cece Andrus’ margins in 1974 and 1990. Lewiston Tribune photographer Barry Kough found this photo from 1986 and added his own caption. And after he won he led, and he governed. Permit the editorial opinion that we could use a little bit more of that formula in our politics today. Historians will sort this out, but I think it is fair to argue that no politician in the history of Idaho had a bigger impact for good for more people for a longer period of time than Cece Andrus. He was, to appropriate the title from Bernard Malamud’s great novel, he was indeed The Natural. He believed, as Churchill said, that you had to be an optimist – it simply wasn’t much use to be anything else. I have rarely met another person, let alone a politician, so completely comfortable in his own skin as was Cece Andrus. He was the very definition of the old saying: What you see is what you get. No pretense. No artifice. No overstuffed self-importance. Cece Andrus never met a stranger and never had to master the politician’s trick of faking sincerity. He liked being Cece Andrus – and who wouldn’t? What you saw is what he was: confident, decisive, almost always the smartest guy in the room, but never one to believe it of himself. He rarely – as in never – seemed to have a bad day. He had an amazing capacity for work and analysis, but also a remarkable ability to make a tough decision and never second-guess that decision. He also displayed, more than any other quality, a genuine regard for people, which I would submit was the secret sauce of his astounding political success and why he remains, nearly a quarter century after leaving public office, the most popular Idaho politician of the modern era. He really liked people. And they liked him precisely because he was – to use a phrase political consults employ today – he was authentic. To Carol, Tana, Tracy, Kelly, Monica, Morgan, Andrew and great granddaughter Casey and all the extended Andrus family: At this difficult time and while still coming to grips with such a great loss please know we hold all of you in our hearts and in our prayers. While we gather today to celebrate the governor’s remarkable life and legacy we are all too aware that no words can really ease the hurt you feel. Still, it would be our collective hope that the sentiments, the images, the music and the outpouring of love and affection from all gathered here, as well as the collective memory of what he has meant to all of us, will begin to bring some degree of peace. We confront today, each of us, the realization that no matter how large the hurt, no matter how awful the loss, we can – and we should – take profound inspiration from Cece Andrus’ life. He would tell us, I think, that when faced with adversity we have only one choice – to move ahead, to step confidently, as he would, toward the bright sunshine on the next high hill, to envision and work for a better future, and to never indulge in the darkness of despair. He once said, in reflecting on his long career, that when things change we need to change to meet the new circumstances. He was nothing if not an agent of change, and he was always – always – focused on the future. And we remember that great sense of humor, those flashing eyes, and the perfectly delivered self-deprecating joke. We all have a Cece story. Here is a favorite of mine: it was August 1986, and he was locked in a tough campaign for a third term as governor. As well known as Cece Andrus was at that time, he had been off the ballot for a dozen years, away from the state for four years and he was a blank slate for a significant number of Idahoans. Practicing the best kind of politics – the retail, handshaking and visiting kind of politics – we were trying to get him in personal contact with as many voters are possible. But on this particular hot August day we didn’t have a blessed thing scheduled – no Rotary Club speech, no parade, nothing. Not one to waste a campaign day, he had his tiny paid campaign staff – Larry Meierotto, the campaign manager, Clareene Wharry (of course) and me gather at his office on Bannock Street downtown. He wanted to know what we could do that day to meet some voters. Larry shuffled through some papers in his lap and said: Well, the Owyhee County Fair starts today. We could drive out to Homedale – as you all know a Democratic stronghold – and work the fairground. Strategy decided we took off mid-afternoon for Homedale. As we arrived at the fairgrounds something just didn’t seem quite right. For one thing no one was around. The fairgrounds were deserted. Armed with a handful of Andrus brochures, the governor set off to find some voters, any voters, and we finally spotted four guys sitting in the shade drinking Coors out of can and smoking cigarettes. He introduced himself and asked these guys where they were from. Nevada, they answered. They were the “carnies” setting up the carnival rides for the Owyhee County Fair that would start – the next day. We went to the fair on the wrong day. He was not the kind of leader who expected perfection, but rather competence. He wasn’t in any way a harsh taskmaster, but he did demand honesty, hard work and really insisted that you harbor a sense of the awe that he felt in having the privilege and responsibility of working for the people of Idaho. He wasn’t a memo writer and he rarely issued orders, but he did expect everyone who worked for him to be on his or her A-game all the time. And he had standards: Tell the truth; no surprises – if you had a problem you’d better let him know, he didn’t want to read about it in the newspaper – no funny business with expense reimbursements – if you cheated on the small stuff, you’d cheat on the big things, he said – and no drinking at lunch. Think of the problems those simple rules avoided. When things went wrong, he took responsibility. When things went well, he shared the praise. Ask anyone who ever worked for him and you’ll find that he inspired incredible loyalty. You wanted to work for the guy and no one ever wanted to disappoint the boss. He led the best way – by example. A good way to measure the character of a politician is to see how people who worked for an elected official regard their experience. I believe I can speak for the so-called “Andrus Mafia” in saying that working for Cece Andrus was the absolute pinnacle of our professional lives. He loved to hunt and fish. And the outdoors, in addition to Carol, his daughters, grandchildren, and great granddaughter, were his great personal passions. He also had, I think, three great political passions. Perhaps above all he valued education. He admired and cared for students and teachers. I’ve always thought one reason he placed such great stock in education was due to the fact that he did not have the chance to complete his own college education. Lord knows that never hampered him, but he always knew that education was the way ahead in the world. He believed every single youngster deserved a first-rate education and he was determined as a legislator and as a governor to do everything he could to emphasize and improve education. It is one of the Three E’s of the Andrus Legacy. His second E was the economy. First you must make a living, he said, and then he acted on that idea. 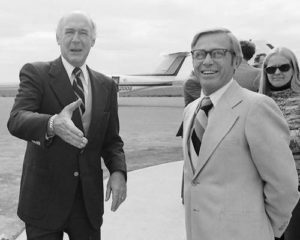 He promoted Idaho products – like the spuds in those great commercials – and he courted those, like Hewlett-Packard and Micron, who would bring about a diversification of the Idaho economy. But he was also a shrewd and pragmatic dealmaker. He told David Packard that Idaho would be glad to have a big technology company like H-P locate here, but to not expect a bunch of tax giveaways since that wouldn’t be fair to companies already here. H-P came. Micron needed engineering education in Boise. He found a way to get it done. He had an astute sense of leadership that helped him navigate domains as different as the Albertson’s boardroom, the White House Cabinet Room, a Land Board meeting or an elk camp. Only after I observed him in action for a while did I conclude, without a doubt, that this guy could have literally done anything in business or in politics. He inspired people to be better than they were and they followed him – the very essence of a great leader. We have heard a good deal lately about certain people who know the art of the deal. Most of them don’t. Cece Andrus did. Since we are here today on the Boise State University campus I want to relate one of my favorite stories about Andrus the dealmaker. Back in 1974 – long before Bob Kustra – Boise State College was the poor stepsister of Idaho higher education, but even then the Broncos had big aspirations, aspirations shared by the largely Republican delegation from Ada County…and by Cece Andrus. Here is the art of the Andrus Deal. The legislation to create Boise State University – rename it from a college – was sitting on Governor Andrus’ desk in 1974 at the precise moment the state senate was considering whether to confirm the nomination to the Public Utilities Commission of a crusty former labor leader from Pocatello by the name of Bob Lenaghan. To say the least, Bob Lenaghan was not a GOP favorite, and Andrus knew he would need a handful of Republican votes to get him confirmed. A potential yes vote rested with a Republican state senator from Ada County by the name of Lyle Cobbs, who just happened to be the sponsor of the legislation to create Boise State University. You may see where this is going. 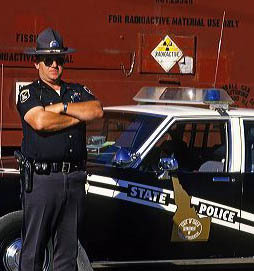 Literally while the roll call to confirm – or not confirm Bob Lenaghan’s PUC appointment – was proceeding on the senate floor the governor of Idaho dialed the phone and it rang on Senator Cobbs’ desk. 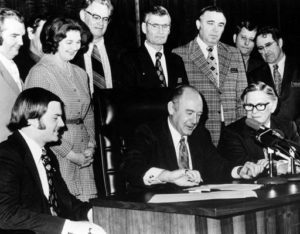 Governor Andrus signs the legislation creating Boise State University in 1974. Senator Lyle Cobbs (standing in plaid jacket) looks on. The vote to confirm Bob Lenaghan was 18 in favor, 17 opposed. Senator Cobbs cast the deciding vote in favor. At the signing ceremony for the BSU legislation – by the way there is a great photo on the BSU website of the occasion with a rather anxious Lyle Cobbs looking on – the senator quietly asked the governor: “You wouldn’t really have vetoed that bill would you?” Andrus, smiling, said: “Lyle, you’ll never know will you?” The governor got his PUC commissioner, and he helped launch a fine university in one fell swoop. The third E in the Andrus Legacy is, of course, the environment. He championed the environmental long before it was popular and long after some attempted to make conservation a purely partisan issue. Alaska is the greatest piece of his conservation legacy, but we should remember as well smaller, but no less important victories. He shamed a timber company in northern Idaho into changing its forest practices when he personally took photographs of a logging job that had messed up a stream. He told Jack Simplot to clean up the effluent from his potato processing plant on the Snake River or the state would shut it down. Simplot complied. 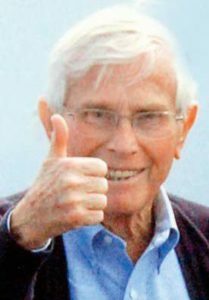 He jockeyed and cajoled the Department of Energy for 40 years to keep its commitments to Idaho and when they didn’t he took them to court and he won – and we won, too. I suspect at one time or another all of us have pondered a fundamental question of human existence: can one individual really make a difference? Can one person in a big and very complicated world make a lasting mark? Cece Andrus’ life is all the proof any of us need that one person can make a difference. If you take nothing else away from this occasion today, please take that lesson from his long and impactful life – one person can have a profound influence for good. And he showed us how to do it by: Pushing for kindergartens, putting the first women on the Idaho Court of Appeals and Supreme Court, unflinching support for Marilyn Shuler and human rights, the courage to confront the DOE, one of the earliest to question the excesses of the National Rifle Association, one of history’s great crusaders for conservation. 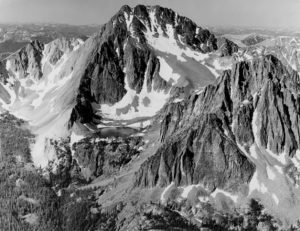 Conservationist Ernie Day’s iconic photograph of Castle Peak in the White Clouds range in central Idaho. It was so enjoyable to talk with him and watch him revel in Mike Simpson’s dogged pursuit of wilderness protection for the Boulder-White Clouds. And it was so typically Andrus that he enjoyed Mike’s great victory every bit as much as any victory of his own. The words repeated over the last few days – Giant, Icon, Legendary – are all true. And Cece Andrus will be remembered for many things not least for his courage and his humanity, not least for the fact that indeed his life did make a huge and lasting difference. Cece Andrus was our North Star – our beacon – inspiring us to be a little better, to think a little bigger, to act a bit more boldly. He was the ultimate people person – big-hearted, generous, fair, and the most loyal of loyal friends. He made us want to walk toward that sunshine on the next high hill. John Kennedy had inspired him in 1960 at the beginning of his political life, and Barack Obama did much the same nearer the end. Reflecting on the improbably of a black man in the White House, Cece Andrus said, “I can still be inspired. I can still hope.” In turn, he always gave us hope, which is after all along with the love of our family and friends, about all we can surely count on in this world. His optimism and his sense of hope, his personal decency and his rock solid integrity, and of course his caring is why we loved him, and followed him, and believed in him, and it is why we mourn him. Long after all of us go on to our own just rewards they will still be talking about Cece Andrus. And, of course, we will continue to admire him and miss him in the days and years to come and we should all try to give him the best possible tribute and live out his example. We will never, ever forget what he did for his country, his state and for each of us. Cece Andrus was simply the best of us. The Lewiston Tribune this week published my remembrance of Mike Mitchell a long-time Idaho legislator and one-time chief of staff to Idaho Governor Cecil D. Andrus. Here’s the piece, written with a smile and a heavy heart. Generally speaking there are two kinds of people in politics: the show horses and the workhorses. The show horses are often in the game for the title, the attention and because its makes something of them. The workhorses are different. They don’t crowd to the front to take the bows. They go to the meetings, read the bills, master the budget and are in politics because they think they can do something, not just be something. Long-time Lewiston state legislator Mike Mitchell, who died last week at 91, was a workhorse, or more correctly a draft horse. He pulled the heavy loads in state government and he did so for decades motivated by a fierce commitment to Nez Perce County, his state and to those people at the edges of our system who never seem to have a platform, but deserve an effective voice. I first met Mike Mitchell in the late 1970s. I was a very junior statehouse reporter. Mitchell, already a legislative veteran, was a minority Democrat on the powerful Joint Finance-Appropriations Committee, the legislature’s budget committee. It didn’t take long for even a novice political reporter to appreciate his encyclopedic grasp of the state budget. He was approachable, authoritative and incapable of the kind of partisan animus many politicians can’t seem to avoid. He was funny, often at his own expense. My regard only grew as I came to know him better and better. During his long years of public service Mitchell mastered the hard, essential, but not very unglamorous work of government. He forgot more about the state budget than most legislators ever learn. He was an expert on corrections and education and, of course, Lewis Clark State College. He knew more about roads and bridges than most Idaho Transportation Department district engineers. Mike was a student of government and his fingerprints are all over Idaho from social work licensing to services for troubled kids. It is often said, incorrectly, that government must operate more like a business. Mitchell knew something about business – he was a successful businessman, too – but he also knew that government is different than the private sector. Operating successfully in the public arena, particularly as a Democrat in Republican Idaho, requires an appreciation for facts, a commitment to accommodation and a belief in the art of the possible. Success depends on build relationships and trust and credibility, all of which Mike did and that is why so many people who knew him and worked with him praise his ability to bridge the partisan divide. To know him was simply to like him and respect him. Mike Mitchell wasn’t a big guy, but his heart was. It was made of gold and his backbone made of steel. Mike wasn’t one to shy away from a fight, but he was more comfortable making things work and he did make things work time and again. 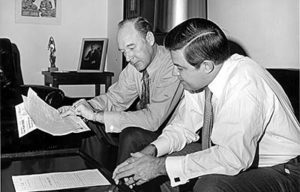 I had the singular honor of my life to work with Mike Mitchell and for Cecil D. Andrus, the man Mike replaced in the state senate when Andrus was elected governor for the first time in 1970. Mike became a mentor, a friend, a golfing partner and one of the best joke tellers I’ve ever laughed with. 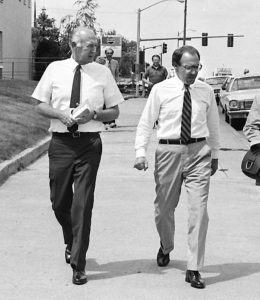 When he “retired” after Andrus’ 1990 re-election – that retirement didn’t stick and he had a whole second act in politics and public service – I followed him as chief of staff to the governor. I didn’t replace him, however. No one could. He was Mike Mitchell. There was only one of his kind. He is missed already. 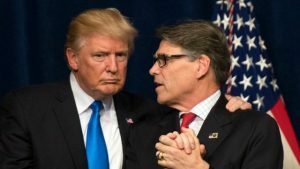 There is a wide-open field on the Republican side for the presidential nomination, with at least a half dozen serious contenders, while the lame duck Democrat in the White House, one of the most polarizing figures in modern American politics, struggles with foreign policy challenges which have emboldened his fierce critics in both parties and submerged his domestic agenda. The foreign policy challenges involve questions about the effectiveness of military aid in bloody conflicts that may, or may not, involve strategic American interests, as well as the proper response to brutal foreign dictators determined to expand their influence in central Europe, Africa, the Middle East and Asia. The incumbent in the White House, elected with promises of “hope and change,” has lost his once large majorities in both houses of Congress and, while he remains a profoundly talented communicator and is still popular with many voters, others have grown tired of his aloof manner and the fact that he surrounds himself with a tiny corps of advisors who tend to shut off competing points of view. Even his wife can be a polarizing figure with some criticizing everything from her priorities to her wardrobe. A fragile economic recovery continues to sputter along, while memories remain fresh of an economic collapse that rivals anything that has happened in three-quarters of a century. Half the country blames Wall Street, eastern bankers and the well-heeled for the economic troubles, while the other half laments excessive regulation, increasing debt and bloated federal government that is constantly expanding its role in American life. The country is deeply divided by race, class and religious differences. The year is…2016? No…actually 1940. The claim heard every four years that “this is the most important election in our lifetime (or in our history), it is, of course, nonsense. We don’t have “critical elections” every four years, but in fact have really only had a handful of truly “critical” elections in our history. In my view the two most important were 1864, when Abraham Lincoln defeated George McClellan thereby ensuring that the great Civil War would be fought to its ultimate end and achieve its ultimate goal, the abolition of slavery, and 1940 when Franklin D. Roosevelt broke with long-established political tradition and sought and won a third term. Roosevelt’s election, although it would have been hard to see clearly at the time, sealed the involvement of the United States in World War II and ultimately led to the defeat of Nazi Germany, Fascist Italy and Imperial Japan. Those two elections (you could add 1860 to the list, as well) had serious consequences that still echo today, the 1940 election particularly since it does have many parallels with what voters will face when they make a choice about the White House in 2016. Arguably the field for the Republican nomination hasn’t been so completely wide open since 1940. In that election, as today, the GOP was a divided party between its more establishment wing – represented by New Yorker Thomas Dewey – and an insurgent element represented by the party’s eventual nominee in 1940, Indiana-born, former Democrat Wendell Willkie, a true dark horse candidate. The party was also split into isolationist and internationalist camps, with Willkie the leader of the later and Senators Robert Taft of Ohio and Arthur Vandenberg of Michigan leading the Midwestern, isolationist element. Ten Republican candidates that year captured at least twenty-eight convention votes, with Dewey leading on the first ballot with 360 votes, still far below the number he would need to win the nomination. The Republican candidates, not unlike today, were a broad and opportunistic bunch ranging from names lost to history – the governor of South Dakota Harland Bushland, for example – to shades of the past like former President Herbert Hoover who amazingly thought he was a viable candidate eight years after losing in a landslide to Roosevelt in 1932. Dewey lost support on every subsequent ballot, while Willkie and Taft steadily picked up steam. As Charles Peters has written: “To Republicans who liked Franklin Roosevelt’s sympathy for the allies but had a low opinion of his economic policy, Willkie began to look like an interesting presidential possibility. This group was not large in early 1940, but it was highly influential,” not unlike the “establishment wing” of the GOP today, which is tentatively coalescing behind Jeb Bush. Finally on the sixth ballot Willkie commanded the votes needed to win the nomination and face the man who was the real issue in 1940 – Roosevelt. By the time the Democrats convened for their convention in Chicago on July 15, 1940 (the Republicans met in Philadelphia in June), few besides FDR knew his intentions with regard to the “no third term” tradition. I’m convinced Roosevelt had decided much earlier to seek another terms, but the master political strategist wanted it to appear that his party was “drafting” him rather than as if he was actively seeking the nomination again. Roosevelt dispatched his very politically astute wife, Eleanor, to Chicago to subtly, but unmistakably make the case for her husband. It worked and the Democratic Party rushed to embrace FDR – again. This whole story is wonderfully told in Charles Peters’ fine book Five Days in Philadelphia: The Amazing ‘We Want Willkie!’ Convention of 1940 and How It Freed FDR to Save the Western World. FDR of course, went on to win the pivotal election of 1940, a rare election in American political history that turned primarily on foreign policy issues. Remarkably, both candidates endorsed the creation of a peace time draft in the middle of the campaign and Roosevelt and Willkie differed only in the most nuanced ways over the big question of whether and how the United States would provide aid to Britain as it struggled to hold off a Nazi invasion and eventually return to the offense against Hitler. The 1940 campaign, like most political campaigns, had its share of pettiness and overheated rhetoric. Roosevelt was denounced as a “warmonger” and a dictator who would do anything to prolong his hold over the country’s politics. Willkie, a wealthy utility executive who made much of his small-town Indiana upbringing, was derided as “the barefoot boy from Wall Street,” so dubbed by Roosevelt’s Interior Secretary Harold Ickes. It was an open secret that Willkie had a long-time romantic relationship with a woman not his wife, but Roosevelt and the Democrats dare not raise the issue for fear that the “marriage of convenience” between FDR and Eleanor, not to mention the president’s own indiscretions, might become an issue. This would not be a John Edwards or Gary Hart campaign. The 1940 campaign did involve two talented and serious candidates who openly discussed the big issues of the day and once the voters had spoken, Roosevelt and Willkie put aside personal animosities and linked arms for the good of the country – and the world. Barack Obama won’t be running for a third term next year. Republicans made certain that would never happen when they recaptured control of the Congress after World War II and adopted the 22nd amendment to the Constitution, but Democrats will be, in effect, seeking a third term with presumptive nominee Hillary Clinton carrying the party banner. Perhaps all – or almost all – politicians tend to look better in hindsight than they do when they are grubbing for votes, but it would be hard to argue that any of the contenders in either party today could hold their own on a stage with the major party nominees in that pivotal year of 1940. The stakes were very high that year and Americans had their pick between two serious, quality candidates. Here’s hoping history repeats next year. Looking at the field I have my doubts. There are at least three other recent fine books about the election of 1940 – Richard Moe’s Roosevelt’s Second Act, Susan Dunn’s 1940 – FDR, Willkie, Lindbergh, Hitler: The Election Amid the Storm and Lynne Olson’s Those Angry Days. All are highly recommended as great political history.